Over the past five months, seawater has penetrated deep into many coastal provinces in the Mekong Delta, affecting thousands of hectares of rice and causing a severe shortage of fresh water. Seawater has entered areas as far inland as 50-70 km from the sea, making average salinity of bodies of freshwater 2-3 percent higher than normal. About 40 percent of the rice production has been affected by saltwater and one-third of the rural population in the region have not enough freshwater for daily activities. In provinces upstream of the Tien and Hau rivers, numerous canals have dried up because of the prolonged dry and hot season. 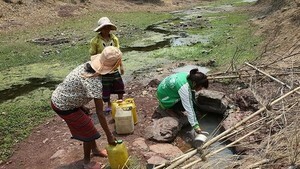 People in An Giang and Dong Thap Provinces have had no choice but to use unsafe water – from contaminated canals or stagnant pools – to meet their daily needs. A home to some largest rivers sourced from the sea, Ben Tre Province appears to have suffered the most from the phenomena; saltwater erosion there is more severe than that elsewhere in the region. Currently, according to reports, the salinity of river water in the province is as high as 0.16 percent. In the province’s capital, Ben Tre City, the rate is estimated to be 0.6 percent. The Provincial Water Supply Company has pumped in groundwater, with a stable salinity of 0.04 percent, from the Huu Dinh Underground Water Plant, to the surface water source to reduce its salinity. 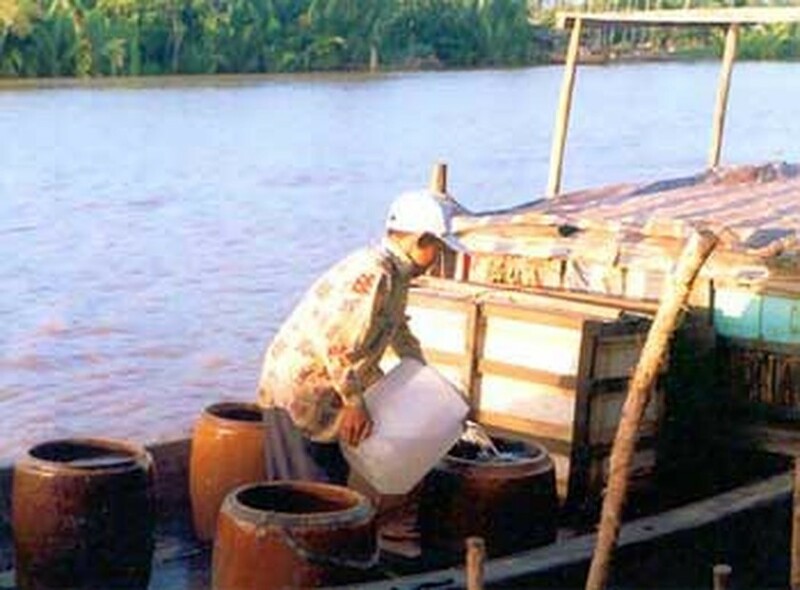 It has also trucked freshwater from Huu Dinh and another water plant, Son Dong, an alternative measure to bring freshwater to the province. Meanwhile, on the contrary, Bac Lieu Province has been suffering great damage due to a shortage of seawater for shrimp production. In the province’s Gia Rai District, 6,000 hectares of shrimp breeding farms have suffered great losses. Therefore, all shrimp farms covering 16,000 hectares into the district are at risk, he said. Saving rice production without damaging shrimp breeding is a big headache for the Bac Lieu authorities now.